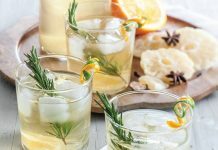 For midsummer dinner parties, a light, sparkling cocktail is always a strong choice. 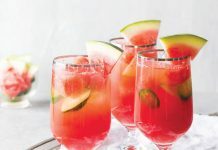 This refreshing Strawberry Cucumber Cooler cocktail from Stroubes in Baton Rouge combines a strawberry’s sweetness with the calming flavor of cucumber to a delightful effect. If you can’t find cucumber vodka, regular vodka will produce a highly drinkable result. 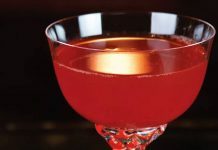 In a cocktail shaker, combine cucumber, strawberry, Simple Syrup, and 1 teaspoon strawberry liqueur. Muddle. Fill with ice, cucumber vodka, and remaining ó ounce strawberry liqueur. Pour mixture into a clean cocktail shaker or pint glass, pour back into shaker, and repeat until cold. Transfer to a Collins glass and top with soda water. 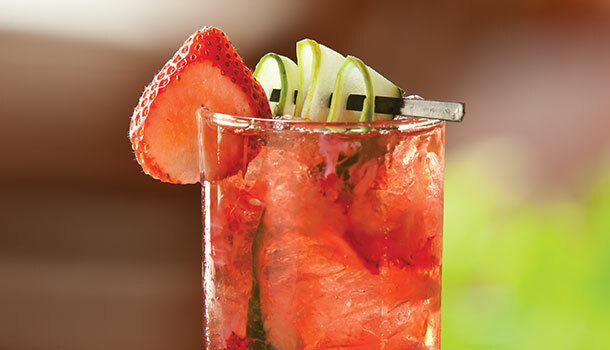 Garnish with cucumber ribbon and strawberry slice, if desired. In a small saucepan, bring 1 cup water and 1 cup sugar to a boil, stirring until sugar dissolves. Let cool to room temperature before using. Refrigerate in an airtight container up to 1 month.